Easter eggs aren't the only thing to hunt for. Here, 10 delicious treats to enjoy on Easter Sunday. Use cookie cutters to make festive Easter animal cut-outs rolled in colored sugar and fluffy coconut. These salty-sweet dessert bars are made with gooey caramel and orange zest. These delicious miniature brownies are completely gluten-free. Inspired by movie-theater snacks, these delicious sweets can be made with any flavor of ice cream. This traditional Swedish Easter dessert features a cardamom-spiced bun filled with almond paste and topped with whipped cream. 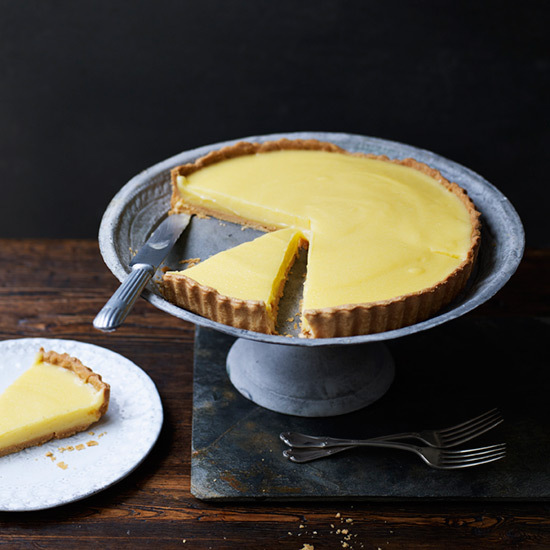 This bright citrus tart is a terrific version of the classic and wonderfully easy: The lemony custard is poured right into the baked tart shell and chilled. Need an excuse to use your candy thermometer? Make these delicious sweets. This fast, savory treat is made with just three ingredients. These fantastic gingersnap cookies are sandwiched with a tangy, fresh lemon cream. Make these chewy candies with just five ingredients.